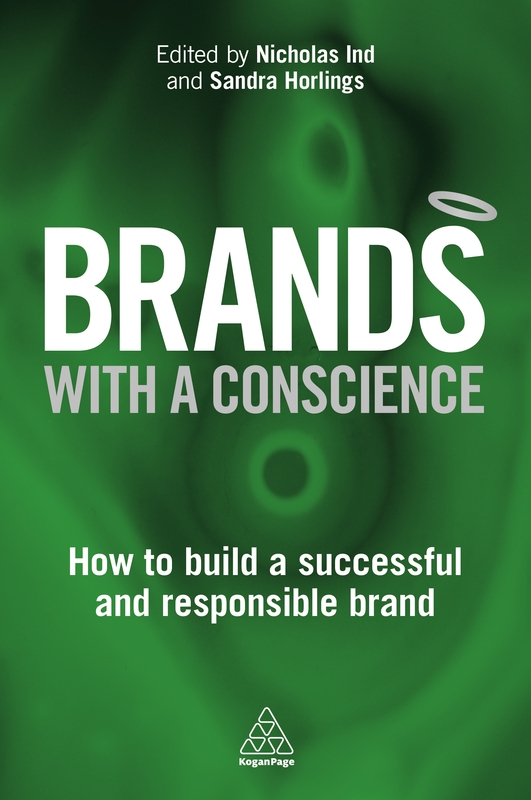 Wellington and Amsterdam, March 24 (JY&A Media) Brands with a Conscience, the new book published by Kogan Page in London, will be launched at a Medinge Group event in Amsterdam on March 31—with a Kiwi connection, contributing author and Medinge co-chair Jack Yan. Mr Yan writes the first case study in the book on Dilmah Tea, illustrating that a brand can be socially responsible and help its community, while being a market leader. The new book aims to dissect the philosophies that make up successful, sustainable brands, arriving at a set of eight clear guiding attributes that can be used as the foundation for responsible growth. ‘I’m truly excited at the first title Medinge has penned after a decade,’ says Mr Yan. ‘This has been planned for several years, with the bulk of writing done in 2015, and updates done right up till the date of publication earlier this year. Other cases in Brands with a Conscience written by Medinge members include H&M, Dr Hauschka, Merci, the John Lewis Partnership, and Tony’s Chocolonely. The book is truly international in scope with contributors from four continents, covering everything from consumer brands to place branding. Brands with a Conscience goes beyond theory: the 12 chapters provide real-life examples and the editing, by Nicholas Ind and Sandra Horlings, ties the book together for professional marketers and brand managers. Mr Yan notes that the first time Medinge wrote a book as a group was in 2003–4, when the well regarded Beyond Branding, also edited by Mr Ind, was released by Kogan Page. A paperback edition followed. He had also contributed to the earlier work. ‘This isn’t strictly a sequel, but it does build on the theories in the earlier title with very robust case studies. Instead of a collection of essays, this is a single volume that helps professionals get a very clear idea of the principles behind today’s, and tomorrow’s, conscientious and sustainable brands,’ he says. The first evening in Amsterdam begins with an informal dinner and gathering at Pllek, TT Neveritaweg 59, from 7 p.m.
Medinge’s big day this year commences at 12.30 p.m. on March 31, with a series of seminars at Design Post Amsterdam, Cruquiusweg 111, with 80–100 participants. The introduction, ‘Unite the World’, is given by Mr Ind and Ms Horlings, with an opening speech following from Ava Hakim of IBM Global Business Solutions. Keynotes from Brigitte Stepputtis of Vivienne Westwood, and Jack Stroeken of Slow Food Netherlands follow. A series of Action Labs hosted by Medinge’s high-level brand experts take place from 3.45 p.m., with Nikolaj Stagis, Simon Paterson, Sudhir John Horo, co-chair Erika Uffindell, Sergei Mitrofanov, Cristián Saracco, Magnus Sørdal, and Peter Brown, will take participants through to the book launch around 5 p.m.
Review copies of Brands with a Conscience can be downloaded (after registration) from Netgalley, at https://s2.netgalley.com/catalog/book/82554. A high-resolution copy of the cover is available on request. Further information on Brands with a Conscience is available from Kogan Page at www.koganpage.com/product/brands-with-a-conscience-9780749475444. Other images can be downloaded from jya.net/press/photo.htm. Founded in 2002, Medinge Group first published a brand manifesto of eight statements encapsulating a vision of healthy brands for the future. In 2003, the group authored a collection of essays entitled Beyond Branding, which explored the ways in which brands could add value within alternative business and social models. In 2004, the group established the annual Brands with a Conscience list to recognize organizations who epitomize humanistic behaviour; in 2006, Medinge added a special category of recognition named in honour of its late colleague Colin Morley, which acknowledges excellence by an NGO, in keeping with Colin’s humanistic vision. Medinge Group maintains an online, automated speakers’ and experts’ bureau accessible through its website, medinge.org. In 2007 Medinge launched an online resource, The Journal of the Medinge Group, a digital anthology of papers and articles written by Medinge members.